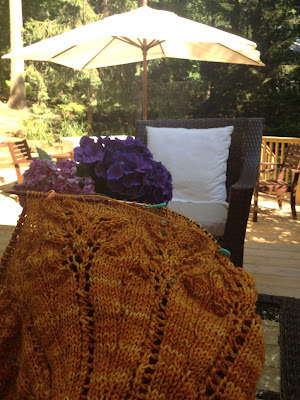 In spite of our busy schedule, I was able to do a little knitting over the weekend in my quest to solve the mystery. I am having so much fun knitting this shawl. The Handmaiden Casbah Sock Yarn is fabulous to work with and I can't wait to share the colors with you very soon.